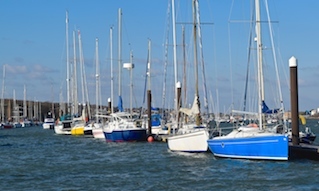 The Cowes Harbour Services Boatyard is one of the largest yards on the River Medina with extensive facilities accommodating up to 150 boats from the easily trailered to yachts and motor boats up to 40 tonnes. The Boatyard serves local river and harbour users, and is also popular with mainland boaters. 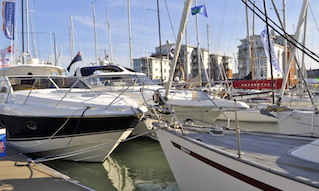 The Boatyard occupies around one-third of the Cowes Harbour Services 10-acre site at Kingston Wharf and comprises several large storage areas, waiting pontoons, a 6-metre beam hoist dock and a boat handler with capacity to 40 tonnes. The business also occupies a proportion of the shoreside workshops, shared with a number of small business tenants and our Commercial Marine Services team. We offer a full range of boat maintenance services and have a number of preferred sub-contractors that can also be involved in the care of your boat. Alternatively, you are welcome to work on your own vessel or contract independent companies, subject to site conditions. The Boatyard offers a variety of ways for you to bring your boat to Cowes Harbour Services with great value standard rates of storage year-round, as well as the ever popular Package Offers giving time for either a quick scrub or a longer spell ashore, all described in our Lifting and Storage section. Our Boatyard offers a range of Maintenance Services including anti-fouling, polishing, cleaning, anode changing, prop polishing, and for anything that we cannot take care of in-house, we have selected subcontractors that we are happy to involve in the care of your boat. From the most minor to most major of projects, it can all be taken care of at the Cowes Harbour Services Boatyard. A small on-site Chandlery always carries basic stocks and we are always happy to order your requirements and have them waiting ashore when you arrive. Our current Tariffs can be found here, and keep an eye out for our Package Offers! 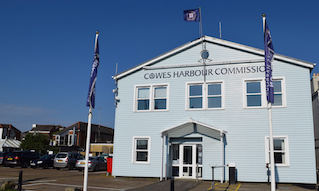 We look forward to welcoming you to the Cowes Harbour Services Boatyard very soon.